G. Keith Danforth, 89, Husband to predeceased Barbara Danforth of 67 years, passed away peacefully on September 24, 2018 at the High Pointe House in Haverhill, MA. Born at the Hale Hospital, Haverhill, MA. on November 16, 1928 to the late Laura (Keith) and Merle Danforth, and predeceased by his brother, Merle Danforth. Keith was a graduate of Haverhill High School, Class of 1948. Keith grew up in Haverhill and later moved to Groveland when he married Barbara. Later in life they wintered in North Port, FL. Keith went to Essex Aggie post high school which led him into a brief career in agriculture. He then moved into the construction field, building and renovating homes. He served as the Building Inspector for Groveland and Georgetown. Keith was proud of his vegetable gardens and maintained a small garden until leaving his home in 2017. 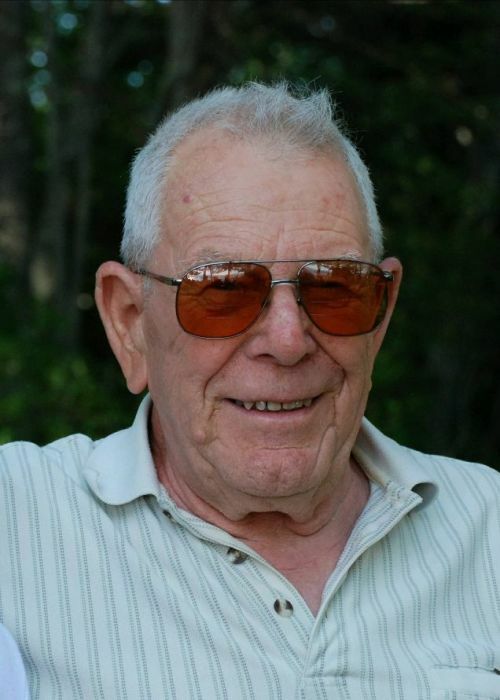 His favorite past times were snowmobiling, boating and golfing. He loved tinkering with anything and everything. Keith was a member of the Order of the Free Mason's and a longtime member of The Groveland Congregational Church.